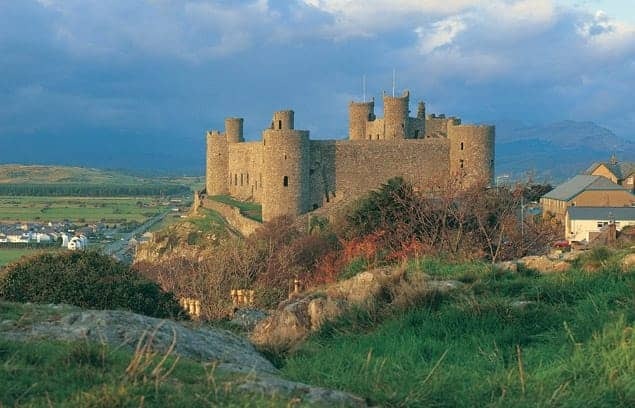 King Edward I built Harlech in the late 13th century. It was one of the most formidable of his fortresses designed to contain the Welsh in their mountainous lands. 'Men of Harlech', the Welsh unofficial anthem, is said to describe the siege which took place here during the 15th century War of the Roses, when a handful of men held out against an army of thousands. The structure boasts two rings of walls and towers and was impregnable from almost every angle. A 200-foot (61m) long stairway still leads from the castle to the cliff base.